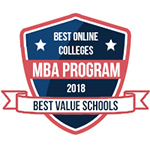 The College of Business, Engineering, and Technology (CBET) at Texas A&M University – Texarkana prides itself on delivering a high quality education at an affordable price. We achieve our goals by continuously evaluating and adjusting our programs to ensure they meet or exceed industry needs for business professionals. To learn more about the College of Business, Engineering, and Technology Graduate Programs, please contact us at CBET@tamut.edu. To learn more about the admissions requirements for any of our Graduate programs, please visit our CBET Graduate Studies catalog page.